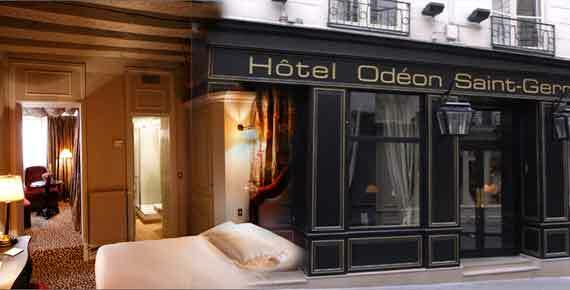 The enchanting atmosphere of the Saint-Germain-des-Pres of yesteryear within the 16th-c. walls of this Left Bank hotel. The inner decor is an harmonious blend of styles, balanced between the Middle Ages and the Regency Period. A charming setting betwixt tradition and modernity. It has unlimited Internet access, a tree-shaded inner courtyard, an “honesty bar” in the lobby and breakfast served in your room or buffet style in a quiet lounge.